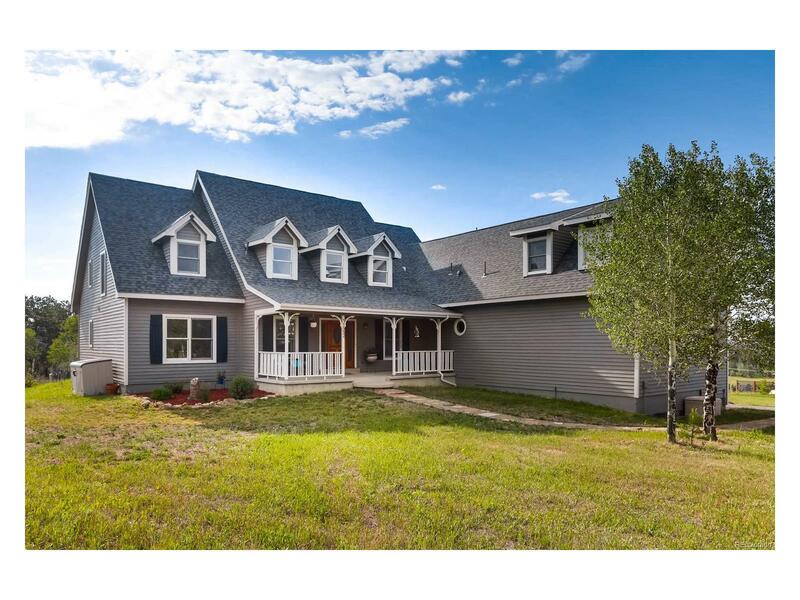 This spacious, Cape Cod style home sits on 2.5 acres of usable land with breathtaking views. This beauty is complete with 5 bedrooms, 5 bathrooms, office/study, large kitchen with tons of counter space, double oven, gas stove and huge pantry. Two garages will hold 4 cars plus toys and lots of additional parking on the flat, asphalt driveway. Outside you will find a green house and chicken coop with heat for the chickens, water and an electric fence for protection of both. Buried propane tanks, triple filtrated drinking water and a fenced yard are just a few of the benefits of this home. There is an unfinished loft/mother in law area above the garage and workshop and storage in the basement.